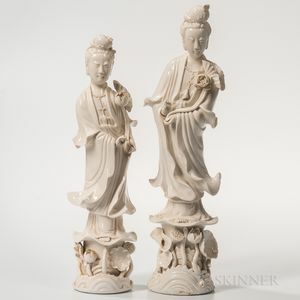 Two Blanc-de-Chine Figures of Guanyin, China, 20th century, both standing on a lotus base with a lotus stalk in her left hand, each with a mark to the back, one in Chinese reading "Xingyao," the other partially "Made in China," ht. to 15 3/4 in. 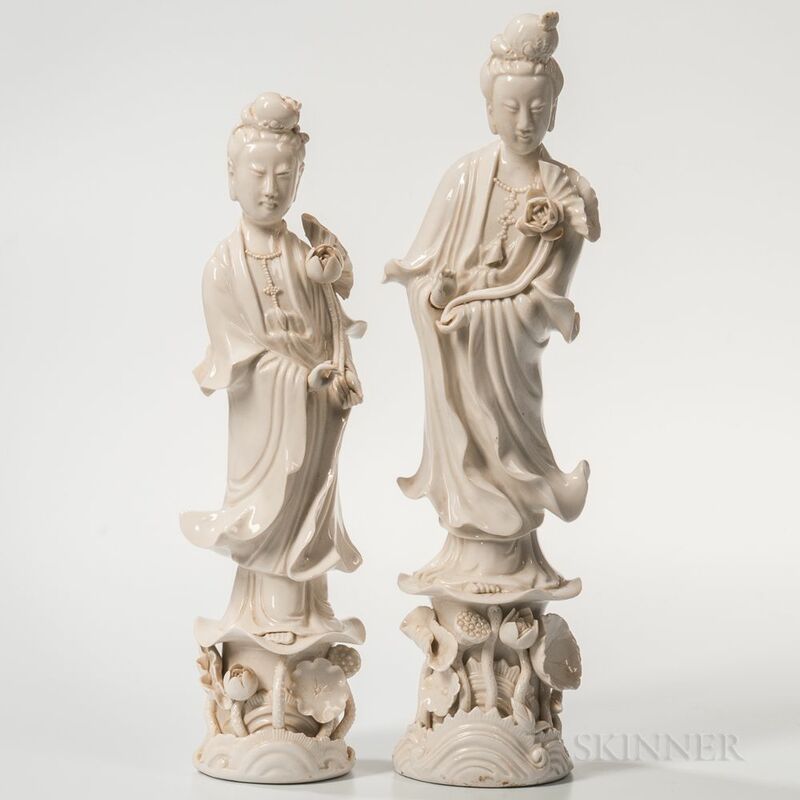 both with chipped fingers, surface dirt, some firing cracks, clay impurities, minor potting flaws.